First coal, now oil? While Obama’s War on Coal is well documented, his administration has taken a (slightly) softer approach towards the oil and gas industry. Long-term weakness in the price of gas, combined with the dip in oil prices approaching its second birthday, have shut out some players, and forced more expensive wells to stay capped. This means that Interior Department enviros had less of a mandate to interfere with exploration and production. But the Bureau of Land Management may have overreached in dragging its feet on the sale of leases over the past couple years. Now, Western Energy Alliance, an energy industry trade group, is taking the Interior Department to court. At issue is the implementation of the Mineral Leasing Act. Or, more specifically, the lack of implementation. By not authorizing leases on a regular basis, it hurts small operators looking for opportunities in geographic-specific areas. 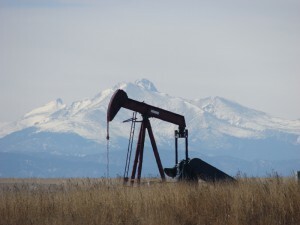 Many small oil and gas companies work in a specific region, such as the D-J Basin near Denver. If the BLM is not offering leases on a regular basis, it restricts the ability of these small businesses to add to their leases and grow. Left-leaning interest groups that are trying to keep our resources in the ground claim that market prices have resulted in less demand for new leases to come to market, but it would make sense for the actual market to determine that, not a group of bureaucrats at Obama’s Interior Department.